The "Sirens" episode is set in the Ormond hotel (the Concert Room, and the bar where Miss Douce and Miss Kennedy are serving). The Linati scheme for the chapter includes the correspondences Sirens - Barmaids; Isle - Bar. Sirens are beautiful maidens who lure sailors to their deaths with song. 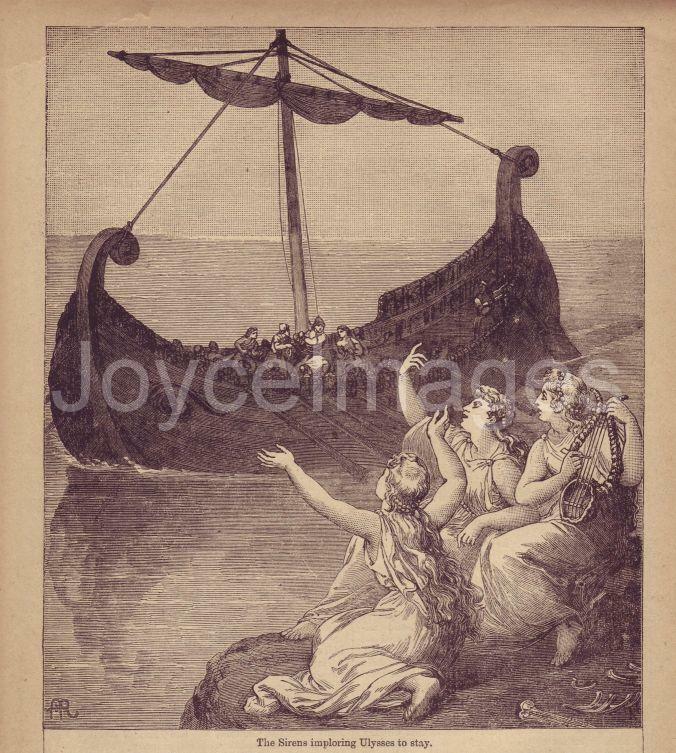 This engraving (1886) shows the Sirens imploring Ulysses to stay. Notice the human bones next to them!